Wheelock Sports Coaching specialises in coaching athletes in strength, Conditioning, Fitness and Rehabilitation. With a passion for Sports, Sciences and a wealth of experience we aim to provide all athletes with a sports specific programme in strength and conditioning or rehabilitation that is tailored to individual needs. Sports Strength and Conditioning is suitable for anyone performing sport in any capacity, whether as an elite athlete or simply a recreational beginner making an entry into sport. Sports teams benefit from optimal conditioning and fitness through our highly specialised approach which improves team-sporting performance and reduces the risk of injury. Sports Rehabilitation is dedicated to the diagnosis, treatment and rehabilitation of sports injuries and other musculoskeletal issues. 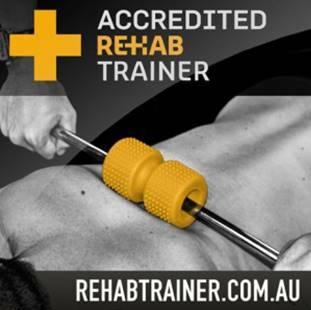 We offer rehabilitation from injury back to full functional fitness, in your chosen sport or activity. Personal training to athletes regardless of sporting ability or level: We will help you to achieve the conditioning level you want. Whether it is 1 to 1 sessions or monthly program updates via e-mail, we will encourage, monitor and adjust your training as you strive to achieve your goals. Speed Agility and Quickness (SAQ): Blinding speed – Rapid acceleration changes – Explosive lateral movement – Lightning fast responses – Explosive vertical movement. These are the qualities that all athletes need to possess. Weight Training: Anyone can walk into a gym and perform a weight training programme. But most athletes get it wrong! At Wheelock Sport Coaching we will ensure that you are doing hypertrophy training, strength training and power training at the right times of the season, with good technique and the confidence to push either yourself or your team to realistic goals and objectives. Nutrition: Eating foods in the correct proportions can assist with preparation for and recovery from for all sporting endeavours. Our registered nutritionist can provide guidance to teams or individuals who want to optimize their performance.